More than one person has told Cameron Torres he should focus on baseball. Also, more than one person suggested that it would be wise to play baseball somewhere other than Peoria High. He did not listen to them. Instead, Torres followed his competitive drive and stayed true to his home school. In his senior year — when many recruited athletes focus on their likely college sport — he added soccer to his plate. As his time in green and gold nears an end Torres may be better known as the football player ejected for a seemingly normal high step before a touchdown reception and an all-region goalie than a four-year varsity baseball star. That is just fine with him. “I wouldn’t change it because every little things helps with how I play. Football helped me with my footwork and that leads into shortstop and soccer helped me with my hands since I was playing goalie. It helped me have more range in baseball too, after covering the goal,” Torres said. He said he sees himself as a baseball player, but wanted to experience teams with different types of kids and be able to say he is an athlete. Cameron started high school two years after his — quite literally — bigger brother Nathan Caleb Torres. Nathan started three years as an offensive lineman and Cameron joined the Panthers freshman football team in 2015. Peoria’s first-year baseball coach, Shawn Sullivan, did not bat an eye. “I had a couple people tell me you should just focus on one sport and other coaches telling me to go and be an athlete. Sullivan was one who was telling me to play every sport that you can,” Torres said. Sullivan said several other Panthers play three sports. “I grew up a Peoria kid and everything here from day one is all multi-sport guys. When I was at Sunrise Mountain years ago I actually created a Rick Johnson award. The No. 1 criteria is you have to be a three-sport athlete. It was very difficult to find three-sport athletes back then,” Sullivan said. Fellow Panthers player back home to coach Will Babb shares that approach. He said the football program encourages guys to go out for other sports. Babb said Panthers football does very little in the offseason besides regular lifting, and that if a sports is very thorough in its offseason, kids who focus on that sport but would like to try another are looking over their shoulder. “In a school of 1,400 kids, if I fight for Cameron Torres not to play baseball, that affects the baseball team. If they fight to keep him playing baseball that’s a huge impact on us. There’s 700 boys here and the percentages say not many are athletes,” Babb said. The Babb and Torres families have known each other since before Cameron’s birth. Cameron said Nathan came in dedicated to both football and football. As he continued to grow, football became more of his focus. The brothers’ coach thought the reverse might occur with considerably smaller Cameron. “I was worried that his size was what was going to scare him away because he was so narrow. As he grew older and mature he figured out that for our program size isn’t an issue,” Babb said. Sullivan said that Peoria coaches are genuine about wanting multi-sport athletes. “I think a lot of coaches these days tell their kids to be multiple-sport athletes, but with a wink like, ‘I’m just really saying that out loud.’ They don’t really mean it and they’re not pushing the kids to do it,” Sullivan said. Both coaches accented the importance of open dialogue. Their main offseason demand? Keep lifting. “I think there would be more multi-sport athletes but for us coaches. We’re the ones taking that away. The kids want to do as many things as possible,” Babb said. That approach led to Torres listening to his kicker once football ended. Aziz Amirudin also is the Panthers’ soccer star. Torres said baseball clubs want their best playing in the fall, which he would once practice was over. Not only is Torres a multi-sport athlete. He is a multi-hyphenate football player. This season, he was a starting receiver, defensive back and holder, and emergency quarterback. Babb said the most impressive things about Torres’ senior football season is that the 2017 starting receiver wanted to be the 2018 starting quarterback . Instead, he threw only one pass and filled a gaping hole in Peoria’s secondary, making 23 tackles and deflecting two passes. The thrill of a 9-1 regular season gave way to the shock of a 54-49 upset first-round loss to Chandler Seton Catholic. Speaking on April 2, Sullivan pointed to a April 5 home game with Seton as a unique opportunity at revenge. Babb also made an argument against playing any sport year round. He said he has run into youth football groups that play three seasons in a row, and in his experience kids get bored with playing all the time. They also get worn out. Babb said a hypothetical Arizona baseball player would be passed over for a hypothetical Connecticut player of the same ability level simply because of overuse concerns. “You can’t play baseball 12 months a year in Connecticut. I don’t think parents get that. 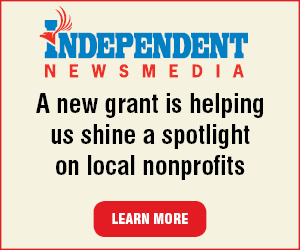 I think they think the advantage is their kids can do that all year long,” Babb said. Cameron Torres said some of his peers are dealing with baseball burnout — or at least drudgery. “One of my friends goes to Mountain Ridge and is a straight baseball player. I think they wish they would have done other sports too growing up. Most of my club teams, those kids are nothing but baseball,” Torres said. Soccer took getting used to, he said, while Torres fell back into baseball easily. It remains his favorite, and best, sport. He joined varsity as a freshman in Sullivan’s first year home after coaching Kellis softball. The Panthers ticked up to 3-17 in 2016 from 2-20 in 2015. Torres batted .324 as a freshman. In a 7-20 2017 season, Torres lead Peoria with a .466 average, 11 doubles and 16 RBI. Another small step in the massive rebuilding project came in a 10-15 season in 2018, he hit .347 and drove in runs. “He was a freshman when I got here. He’s been our starting shortstop and batted in the top four of our lineup every game since. He’s definitely one of our foundation blocks,” Sullivan said. Juniors Bryan Valldares and Drew Gunnell are the other perennial Panthers. This year their work may pay off. 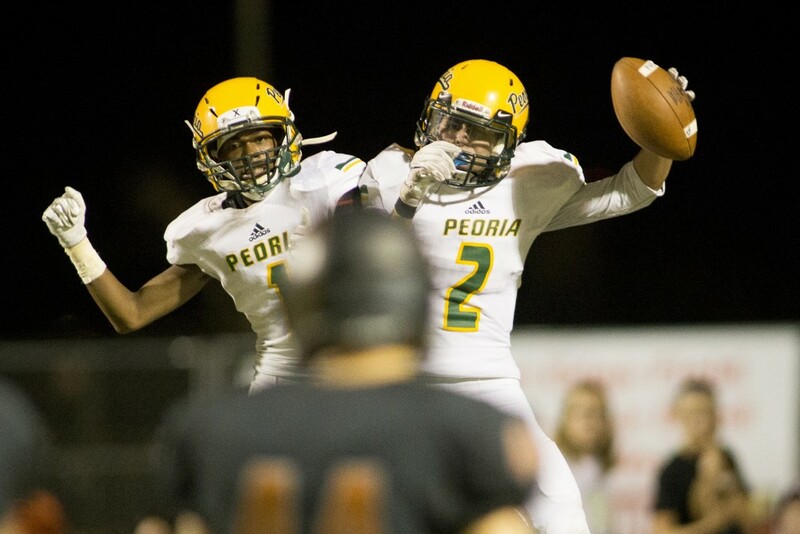 Peoria was 11-11 as of April 11 and in contention for the 4A playoffs. Their leader is batting .443 with 17 RBI and an .852 slugging percentage. He said he plans to just play baseball in college, though he might have tried to continue in football as well if JUCO football remained in the Valley. Torres committed to Glendale Community College, and has a Division I offer from Mississippi Valley State. He said he wants to study to be an orthodontist. His baseball coach is still amazed by his commitment to a formerly downtrodden program. “That’s probably the thing I’m most proud about because a lot of people have tried to lure him out of here. He could have gone somewhere every year. Cam is a Peoria guy and he always will be. And so is his family,” Sullivan said.